If you are feeling unhappy or frustrated in any area of your life, know that it is possible to change these negative feelings into positive ones. You deserve to feel happy, excited and peaceful in your life. By taking one step towards your happiness: simply, send a message to your Happiness and Wellness Coach, Zafira, and let her help you increase your happiness. She will help you reflect on what gives you real joy and come up with a plan to help you experience more Joy and inner Peace in your life every day. The Art & Science of Happiness Coaching Program is a Comprehensive, Step-by-step Program designed to teach you how to live happier in all areas of your life. You can take the full program, or in parts as needed. To learn more about the Program, book a free consultation. Happy March and UN Happiness Day! 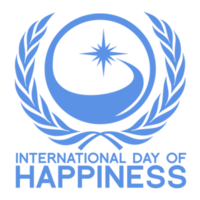 Happy UN International Day of Happiness! March is full of Happy Occasions. One of the good Happiness Habits that you can cultivate to increase your own Happiness is to celebrate more: celebrate the Happy Occasions, celebrate what is good and what is working in your life; your successes and what you have achieved so far; and most importantly, celebrate the special people in your life. Here are a list of the Happy Occasions happening in March, and simple ways to celebrate them. 8 March: International Women’s Day! International Women’s Day (IWD) is a global day celebrating the economic, political and social achievements of women. IWD first emerged from the activities of labour movements in the beginning of the twentieth century in North America and Europe. In 1908, about 15,000 women marched through New York City demanding shorter hours, better pay and voting rights; women have fought for equality. Three years later, in 1911, the first International Women’s Day was held. However, the United Nations began celebrating International Women’s Day on 8 March during International Women’s Year, in 1975. International Women’s Day is a time to reflect on progress made, to call for change, and to celebrate acts of courage and determination by ordinary women living an extraordinary life in their communities. Celebrate and honor all the special women and females in your life on Women’s Day: invite them to your home or take them out; cook a special dish for them; help with the daily chores at home; buy them a small gift, like flours for example; and/or send them a handwritten letter or postcard expressing your love, appreciation and gratitude. to all the Women in the World! 20 March: UN International Day of Happiness. In April 2012, the first UN conference on Happiness was held in New York. In July 2012, the UN General Assembly adopted a resolution which declared that the International Day of Happiness will be observed on 20 March every year. It was celebrated for the first time in 2013. This was a major shift in people’s attitudes, as they are starting to recognize that increasing Happiness and Well-Being is as important as economic growth. The resolution was initiated by Bhutan, a country which recognized the value of national Happiness over national income since the early 1970s, and famously adopted the goal of Gross National Happiness over Gross National Product. It also hosted a High Level Meeting on “Happiness and Well-Being: Defining a New Economic Paradigm” during the sixty-sixth session of the General Assembly. Take some time to reflect on what you can do to increase your own Happiness and Well-Being; write a list of all the things that you can do that make you truly Happy, choose one thing, and do it. (Autumn in the southern hemisphere). The Spring Equinox, falls this year on March 20, 2019, marks the astronomical first day of Spring in the Northern Hemisphere. The word equinox comes from the Latin words for “equal night” —aequus (equal) and nox (night). On the equinox, the length of day and night is nearly equal in all parts of the world. With the equinox, you can enjoy the increasing sunlight hours, with earlier dawns and later sunsets. Spend some time in Nature. Plant a tree, or any plants you like; buy some flowers or plants and give them as gifts to your family members and friends. Mother’s Day is a celebration honoring the Mother of the family, as well as motherhood, maternal bonds, and the influence of mothers in society. It is celebrated on various days in many parts of the world, most commonly in the months of March or May. Many countries celebrate Mother’s Day on 21 March. Celebrate and honor your Mother and all the special women and females in your life, including grandmothers, great-grandmothers, foster mothers, stepmothers, aunts, sisters and daughters. Invite them to your home or take them out; cook a meal for them; help with the daily chores at home; buy them a small gift, like flours; give them a handwritten letter, or postcard expressing your love, appreciation and gratitude. to all the Mothers, everywhere! 22 March: UN World Water Day. World Water Day is an annual UN observance day that highlights the importance of freshwater. The day is used to advocate for the sustainable management of freshwater resources. World Water Day is celebrated around the world with a variety of events. These can be educational, theatrical, musical or lobbying in nature. Water is essential for Life; in fact Water is Life. More than 70% of your body (and the Earth) is Water. Whenever you can, take a moment and Bless the Water. May You Always Be Happy; & May You make Your Happiness a Priority in Your Life! and “Clap along if you feel like Happiness is the Truth“! Posted in Discussions, Events, Happiness, Happiness Habits, Mother’s Day, Nature, Songs, Spring Equinox, UN Happiness Day, Videos, Water Day, Women, Women's Day | Tags: "Happy" by Pharell Williams, International Women’s Day!, Mother’s Day, spring, The Secret Life of Water ~ By Masaru Emoto, UN International Day of Happiness, World Water Day! I wish for you to Be Happy, Content and Prosperous! I wish you Good Health, a Warm Home, plenty of Joy, Laughter and Happiness; and close Friends and Loved ones, with whom you can share your many Blessings! And above all, I wish you Peace in your Heart and in your World. filled with Love, Joy, and inner Peace! May You make Being Happy Your Highest Priority in 2019! The Happiness Club is for you, if you would like to learn the Happiness Skills in a very small group of like-minded people. It is Educational, Uplifting and Fun! If you love reading educational books and would like to study The Science of Happiness, join the Happiness Book Club — please note that all books and books summaries are in English. If you love watching good movies and discussing them with a small group of like-minded people, join the Feel-Good Movie Club. The films are Beautiful, Uplifting and Educational — please note that all films are in English or with English subtitles. “One evening an old Cherokee told his grandson about a battle that goes on inside people. He said, “My son, the battle is between two wolves inside us all. The first one is Your True Self, Your Higher Self, Your Soul. It is All-Knowing, Loving and Wise. It Knows what is best for you; and if you listen to It and follow Its guidance, It will always lead you to the Truth, the Good, and the Beautiful. It is the path of Love, Joy, and Inner Peace. It speaks to you in a gentle, soft, kind, and loving way. It speaks to you through your Intuition, your Gut-feelings, your Inner-Knowing. It is what is often referred to in the Scriptures as the Small Still Voice for God. The second part is your ego, your small self. It speaks out of fear, greed, guilt and lack. It keeps you busy thinking about the past — what you did and didn’t do — and it keeps you worrying about the future. If you follow it, it tells you to do the wrong things, and then punishes you for doing them; it sabotages your happiness and success, and blames you for your failures. It is the voice that tells you that “you are not good enough and / or unworthy“. It is the self-pity voice that says “poor little me.” It is the self-centered, egoistic and materialistic mind-set that controls and dominates the thinking of most people, which led to all the crises we face today. How to tell which part is speaking to you at any moment? If it comes from Love, it is the Voice of Your Higher Self: Its Nature is Unconditional Love; and It feeds only on Love: It thinks, speaks and acts out of Love only. If the voice comes from fear; it is the voice of your ego; it feeds and thrives on your fears. It speaks first and speaks the loudest. How to stop feeding the ego? Stop engaging in its drama. Stop all blame, shame, guilt or hate thoughts. Stop judging others; stop engaging in gossip, or meaningless activities; never use harsh words, or do harm. You also need to take good care of yourself physically, mentally, emotionally and spiritually; otherwise, your ego will use your weakness against you. To hear the Voice of Your True Self, you need to be able to quiet your mind. Meditation, Mindfulness and Being Aware of the automatic negative thoughts that pass by in your mind throughout the day will help tremendously. These skills can be learned, and the more you practice them, the stronger the Voice of Your True Self becomes, and the easier it becomes to hear It and follow Its guidance. The more you listen, the clearer it gets and the stronger your intuitive senses become. Wherever you are in your life; and whatever your goals are — whether it is to improve your health, to advance your career, or to have a more meaningful life — overcoming your ego and its automatic negative thoughts, which holds you back from reaching your full potential, is vital for your True Happiness, Success and Inner Peace. Want to learn how to connect with your Wiser Self, and have more control over your ego and its automatic negative thoughts, so that you can have more Love, Joy, and Inner Peace in Your Life? Enroll in one of the Mastering The Three Levels of Happiness Coaching Programs! You will learn the skills that will help you follow your Inner Joy, Everyday. May You always Be Happy, Healthy and Peaceful! Committed to Helping You Live Happier & Healthier! A compass is a navigational instrument with a magnetized pointer that aligns itself with the earth’s magnetic field, always pointing north. We have used the compass for millennia to find our way. It’s been used by seafarers, explorers, and travellers alike to help get from one place to another. When we lose our way, we pull out our compass, get our bearings, then find the path again. But our journey as a human being is also a journey of the mind, of the psyche, and of the spirit. How do we navigate these other waters when there is no ocean’s surface that allows us to use a tool such as a compass? Well, a compass may be useless in these situations, but it serves as a good analogy for an essential aspect of the spiritual journey, for we do need a compass – without one we’ll get lost just as surely as an ancient sailor would get lost without knowledge of the sky, the compass, and the sextant. To understand how to use our spiritual compass, let’s look at how we use a physical compass. First, when we lose our way, we know we can find out which direction to take by using the compass, that is, we have faith that the compass will help us get back on track. We know that to guess or to choose based on what we think is the right direction is not as good an option as looking at the compass and letting it tell us. So we look at the compass and follow exactly the bearings it gives. We have confidence that the compass will point us in the correct direction and that by following its guidance we will arrive safely at our intended destination. When we get lost we do nothing but look at the compass. We make no choices of our own – we let the compass make the choice for us because we know how to read it and we have faith in it. This is an essential thing to remember as we tread a spiritual path. We must use only the spiritual compass and let nothing interfere with it. If we start guessing, assuming we know better than the compass, then at best we’ll stay lost, and at worst, we’ll perish. We must leave the ego behind in order to proceed with the right attitude that will allow us to use our compass. But what would a “spiritual compass” be? To know it, we must first understand the ego, for as long as the ego holds the high seat, our spiritual compass is completely invisible. Why does the ego not allow us access to the compass? Why does it confuse us and cause us to make the wrong decisions? After all, if it didn’t misguide us so often, then we wouldn’t need to talk about “finding our compass” in the first place. Many Zen teachers have spoken of the ego and its destructive nature when left to its own devices. They tell us that the fundamental Principle of the Universe — Buddha Mind or Buddha Nature or Self Nature — governs all: the entire cosmos of which we are part. Buddha Mind is not, as some mistakenly suggest, our individual soul. As we begin to embark on our spiritual journey Self Nature is unconscious – that is, we do not consciously, or knowingly, recognize it. But unconsciously we do. Self Nature manifests as thought in our conscious lives but it does not remain in thought because it is not fixed. We only get glimpses of it now and again, and most often we pay it no attention. The act of making it fully conscious, recognizable to us in every moment, is what the Spiritual path is all about: it is the destination of any spiritual journey. The Buddha Self uses ‘form’ to manifest in this world but It has no attachment to form. So in manifesting as form It remains non-abiding. No where. To be in-tune with Buddha Nature, from moment to moment in our lives, we too must have a mind that is non-abiding, that is, nowhere fixed. Ultimate Reality, or the Principal of All that Is, manifests within us and acts on us – on the mind, on the body, on all aspects of our lives. Through Reality, the mind apperceives itself: it becomes conscious of its own consciousness. In this way, the Unconscious becomes conscious of itself and an urge for assertion arises. But what’s the point? Why does this happen? This urge for assertion which manifests the ego has been, throughout the millennia, necessary for our day-to-day survival. It has kept us safe from the sabre-toothed tiger, allowed us to form societies, protect our families and communities from attacks, encouraged us to grow wiser and more cunning – all of which have promoted the continuation of our species. In fact, without ego, without this urge for assertion, we could not do the simplest functions of daily living, like driving a car or finding our way back home or cooking our food. We need the ego, but we need more to be happy, to be content – we need a direct connection with the source of the ego. What happens when we don’t have that connection? To function in our daily life, the apperceiving mind in its egoistic state uses the brain, in which all the 5 senses (skandas) and consciousness coordinate and communicate. The ego, now a master-at-large, has a wonderful machine (body), which functions obediently in response to its urges. In this role, the ego, which is without a Self (without Universal Knowledge), urges us on in carrying out those mundane tasks which constitute our daily life. The ego functions through the material process of thought which uses memory to guide it. This is its mechanical movements, and they are always derived from experiential images of the past. Unfortunately for the ego, in carrying out and perfecting these routine tasks it ignorantly considers itself capable of resolving everything, not only the mundane and material problems of our daily lives but all of our problems! It attempts to solve new mental or psychological problems that arise daily in our lives because solving problems is all it knows how to do. Yet, because it can only operate from the point of view of past experience, the ego struggles hopelessly to resolve problems that are outside its domain of knowledge – outside of its realm of past experience. The ego knows nothing of spirituality, nothing of God, of Buddha Nature, Adoni, Bhagavan, Brahman, parama-Isvara, Rama, Ek Onkar, Waheguru, Nirankar, Aten, Mithras, Yahweh, Yehoshûa , Allah, Yezdan , Abraxas, Cao Ðà?i, Akua, Tenchi-Kane-no-Kami, Mioya-Ookami, Ahura Mazda, or any of the other thousands of names for Ultimate Reality that cultures around the globe have given It. Yet, despite the stronghold of the ego, the ubiquitous quality of All that Is has been perceived by all cultures throughout recorded history, a knowledge that cannot be known through the ego; the personal, isolated self, for the more it tries to comprehend it, the harder it gets, the greater the confusion becomes, and the greater and longer suffering endures. We need to recognize that mental (emotional or psychological) problems are not the same as material problems and that they require different solutions. If a car breaks down, a mechanic uses memory and applies thought to carry out the repairs. But when faced with emotional problems, the ego cannot use thought, which is of the past, to resolve them. Emotional problems are complex in nature and require a different approach – an approach that is built on a spiritual foundation. The reason this is so is because the ego always works to resolve a new problem with a past solution; consequently, it naturally falls into dualistic conflicts and it becomes muddled by an unending stream of disconnected thoughts which obscure the clarity of truth. Trying endlessly to solve the problem, it has no success and succumbs to fear; in a state of fear it becomes further trapped in its own confusion; confusion leads to pain and sorrow; pain and sorrow lead to frustration and anger; frustration and anger lead to despair and violence. We cycle downward into an ever increasing pit of hell, all because the ego operates in the darkness of its own ignorance about that which has given rise to it. This is when we most need a guide — something to help us up and out of the pit. This is when we need a spiritual compass. Once the ego sees that it has derived its conscious “mind” from the Unconscious Mind it stops dead in its tracks. It remains silent. It stops all attempts to manipulate things because it realises its own futility in this area. In this silence it makes no movements. This silence and stillness (non-doing/non-action) flow from the Principle of All that Is, from Buddha Mind. The Buddha Mind is itself the pointer, the spiritual compass. As we work to create a spacious mind, spontaneously a discovery takes place that leaves us silent – it leaves us quiet and receptive. In normal daily life, the ego finds its way, but through this discovery there is a newfound harmony in life. There is peace and happiness. Through the awakening experience we call satori, we find our compass and our spiritual journey proceeds with the confidence of a master mariner at sea. * Translated into Arabic by Zafira Labadi, (below). Let’s Celebrate UN Peace Day! September 21, marks the United Nations’ International Day of Peace. On this occasion, I wish You a very Happy and Peaceful Day, Everyday! If you would like to learn more about Peace Day, how it came about and its significance; how you can contribute to World Peace in simple and easy ways; and how to cultivate Peace in your life; please join me on Peace Day, this Friday, 21 September, between 5 – 7 PM. Write “Peace Day” in the subject line. May You Find Your Peace! I am always horrified when I see many people, men and women, put their mobile phone near their ears/heads, even when they are not using them; or when they put the mobile near their chest, or in their pocket, totally oblivious about the dangers of their device. Many studies show that heavy exposure to these electromagnetic fields (EMFs) could be severely damaging to our health, especially to children, even in utero. The most obvious reason EMFs may cause physical harm is because our body is bioelectrical. Many of our bodily processes involve the transmission of electric signals, and external interference can disrupt those processes. April 22 is Earth Day, and this year it marks the 45th anniversary of what is considered by many the birth of the modern environmental movement that started in April 1970, which focuses on raising awareness by putting environmental concerns up front and center. I invite you to be a part of Earth Day to help build a clean, healthy, diverse world for generations to come. The possibilities for getting involved are endless! Volunteer. Plant a Tree. Install solar panels on your roof. Reduce your consumption. Avoid using plastic and wasting resources. Recycle: Return hangers to the cleaners; donate clothing and computers to charities; use reusable bags and containers. Use recycled items whenever possible like for example recycled chlorine-free paper. Use energy saving bulbs. Choose cleaning products that are natural and eco-friendly. You can reduce emissions by sharing a car, using public transportation, riding a bike, or walking when possible. Organize an event in your community. Help launch a community garden. Communicate your priorities to your elected representatives. Do something nice for the Earth, have fun, meet new people, and make a difference. More importantly, keep doing these things! Earth Day is Every Day! To build a better future, we must commit to living responsibly year-round. water, food, and for their existence! Protected: Happiness and Money 02! and I commit to Claiming it. and I commit to Awakening to it. and I commit to Choosing it. and I commit to Cultivating it. and I commit to Reveling in it. and I commit to Creating it. and I commit to Living it. and I commit to Giving Thanks. and I commit to Generating it. and I commit to Sharing it. and I commit to Offering it. I Must Be the Happiness I Wish to See in the World. Enroll in one of the Art & Science of Happiness Coaching Programs! As always, I wish you much Love, Joy, and Wisdom! Committed to Helping You Lead a Happier Life!